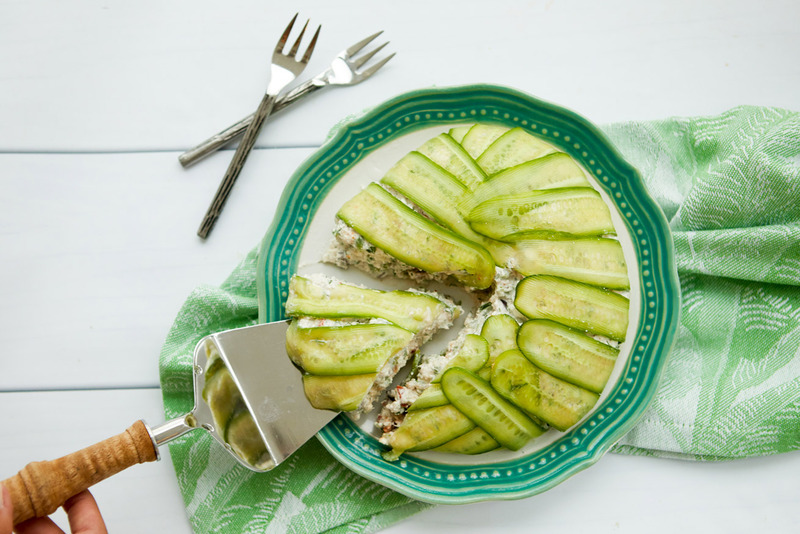 This cucumber cake is a great appetizer for a hot summer day. 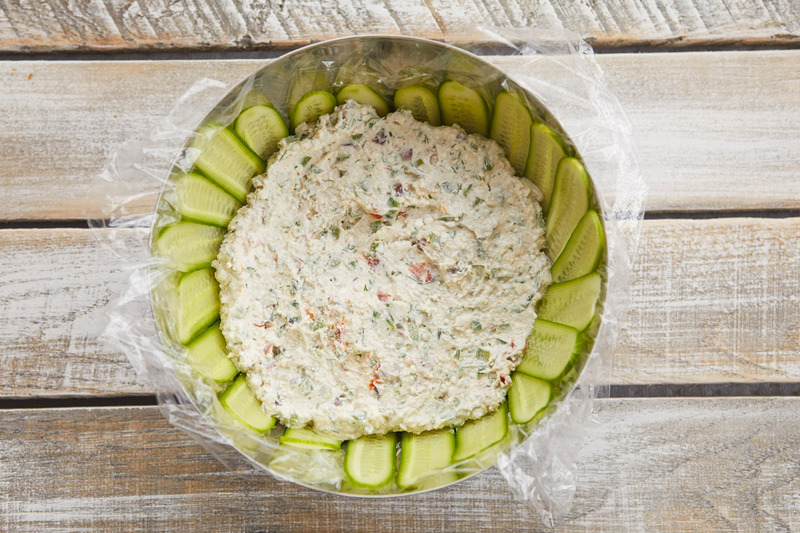 Serve this at your next party and wow your guests. They will be amazed at the creativity of the dish. All the flavors taste so good together and it can easily be paired with grilled chicken or pork skewers. STEP 1. Start out by slicing the cucumbers using a mandolin or a vegetable peeler. STEP 2. 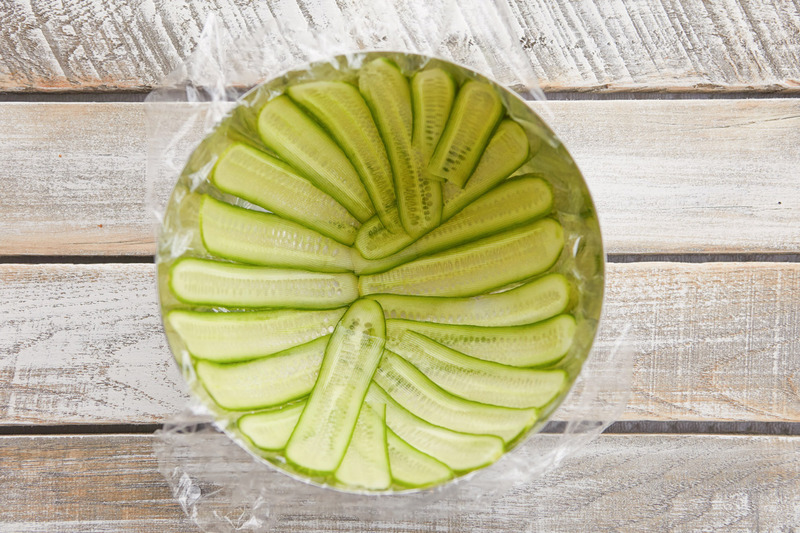 Line a medium deep bowl with saran wrap and start lining with the sliced cucumber. Go all the way around so there is no space left in between each slice of cucumber. STEP 3. In a mixing bowl, combine the peppers, feta cheese, sun-dried tomato, yogurt, walnuts and olives. Mix with a fork until well combined. STEP 4. Scoop the mixture into the bowl with cucumber. Take a side of the saran wrap and gently fold until all sides meet at the middle top. Once the cucumber cake is in an oval shape, place in the fridge for an hour to set. STEP 5. Take out of the fridge and gently unwrap the top of the cake form the saran wrap. Flip over into a serving plate and slice into rectangular pieces.